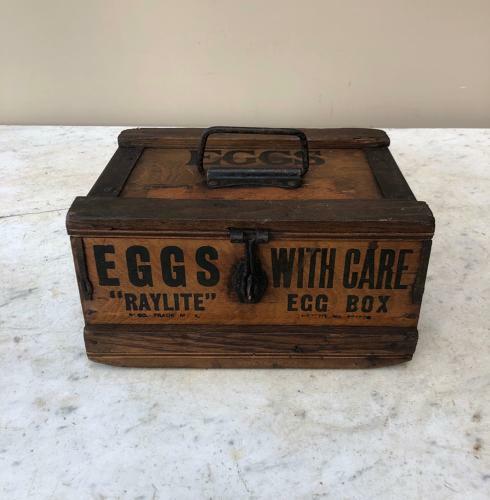 1920s Super Cute "1 DOZEN" Size travelling "EGGS" Box. Made by Thomas Bethell in Liverpool and the brand of box is THE RAYLITE. Clear writing all the way round...and unusually oak bound. Great condition all original ironwork. Post is first class signed for, for £9.95.